International Conference on Innovation, Sustainability, Technology and Education in Civil Engineering (iSTE-CE'2019) is to be held at İskenderun, Turkey on 13-15 June 2019. Construction is one of the oldest industries. However, new concepts, new technologies, new materials and new approaches promise to change the landscape of this industry. Innovative methods and technological advancements should be researched as a solution to the problems faced by the industry. Leaving a better livelihood for future generations should be our most important goal. Close cooperation among scientists and stakeholders is necessary. We hope that this conference will bring the scientists including other disciplines and experts from the field together to increase our knowledge and encourage our cooperation toward a better world. You can see more information at http://iste-ce2019.iste.edu.tr. The 8th MCSul / VIII SEMENGO is a scientific event that received around 200 complete papers for oral presentation. The 8° MCSul / VIII SEMENGO will take place on October 22, 23 and 24 at Federal University of Rio Grande (FURG), in Rio Grande City, Rio Grande do Sul State, Brazil. The MCSul (Southern Conference of Computational Modeling) is promoted by the Graduate Program in Computational Modeling (PPGMC) of FURG; being a multidisciplinary scientific congress which brings together researchers of Computation, Engineering, Physical, Mathematics and its several interfaces, by means the Computational Modeling, involving models, algorithms, tools and computational techniques for the solution and analysis of complex systems. The SEMENGO (Seminar and Workshop in Ocean Engineering) is promoted by the Graduate Program in Ocean Engineering (PPGEO) of FURG; being a forum which brings together researchers and practitioners of Ocean Engineering, Coastal and Port Civil Engineering, Naval Mechanical Engineering Naval and Renewable Energies, allowing the exchange of scientific and technical experiences. 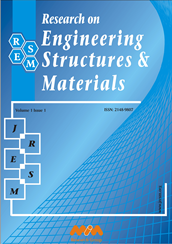 A RESM regular issue with special focus on Computational Modeling applied to Ocean Engineering Structures will be published from selected papers of The 8° MCSul / VIII SEMENGO. The UKMK is an activity in which scientific research and industrial development are shared in the field of chemical engineering. Due to its structure embracing all academicians, researchers and industrialists, our country has the most important activity feature in this area. We want to host you in the eastern pearl of Van, which is based on a very old history, which hosts various civilizations at different periods and which is among the cities that should be seen in terms of natural beauty and historical buildings in our country. Van Yüzüncü Yıl University, Department of Chemical Engineering, we are working to welcome our esteemed colleagues in the most beautiful way. The 13th National Chemical Engineering Congress (UKMK-13) will take place on 3-6 September 2018 at Van Yüzüncü Yıl University, Faculty of Engineering. We are pleased to announce that “4th International Symposium on Composite Materials (KOMPEGE 2018)” will be held on September 6-8, 2018 at Ege University, Izmir, TURKEY. 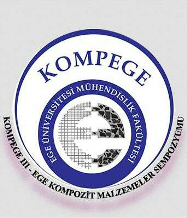 As every two years since 2011, we organize Ege Composite Materials Symposium (KOMPEGE) to promote and disseminate the knowledge concerning scientific researches and technologies related to composite materials. 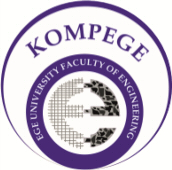 The main goal of KOMPEGE is to bring together researchers, scientists and experts in universities, companies, institutions, communities, agencies, associations and societies to provide them a unique platform for sharing worldwide ideas as well as the recent developments on composite materials. 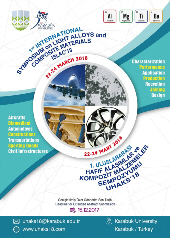 We are pleased to announce that “1st International Symposium on Light Alloys and Composite Materials (ISLAC’18)” will be organized by Karabuk University in Karabük-Türkiye on 22-24 March 2018. A special session will be held on Fluıd Flow, Energy Transfer & Desıgn in scope of the 13th International Conference on Diffusion in Solids and Liquids and this session welcomes contributions on analytical, computational (CFD) and experimental aspects of fluid flow and energy transfer relevant to science and technology. It is intended as a platform for exchanging experiences and information, enlivening academic thoughts and promoting the further development of research in these disciplines. RESM will publish a special issue for the session of "FLUID FLOW, ENERGY TRANSFER & DESIGN". Editorial Board of our journal and Organizing Committee of 3rd International Balkans Conference on Challenges of Civil Engineering have agreed to collaborate. Extended versions of the selected papers from the conference will be published in our journal. Epoka University, Polytechnic University of Tirana and Polytechnic University of Bari Civil Engineering Departments are jointly organizing “3rd Internatıonal Balkans Conference on Challenges of Civil Engıneerıng” held in Tirana, on 19-21 May 2016. The Ege Energy Symposium and Exhibition has been held every 2 year by the collaboration of fourteen regional universities since 2003. The 8th IEESE, organized by the Afyon Kocatepe University and hosted by the Solar and Wind Energy Application and Research Center and Electrical Engineering Department, will be held on May 11 – 13, 2016 in Afyonkarahisar. It is aimed not only to share ideas but also to share Turkish culture during the symposium. By this way you will find opportunity to taste delicious Turkish food, feel better and learn the latest developements on Energy related issues. 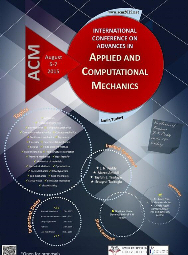 International Conference on Advances in Applied and Computational Mechanics is organized in honor of the 70th birthday of Professor J.N. Reddy. This is a tribute for his many and lasting contributions to education and research in applied mechanics. Conference is held at Izmir Tepekule Kongre Merkezi,Izmir/Turkey during August 5-7,2015. Conference is intended to create an excellent opportunity for researchers to present their research findings and exchange ideas and recent advances in all areas of mechanics. It is an international forum that brings together academicians and practicing engineers to discuss applications as well as theories of of current interest. Frontier research results in the board area of mechanics has been exchanged. KompEGE III Symposium with international participants is held between 5 and 7 November 2015 in Pine Bay Hotel-Kusadasi. The most important feature of the Symposium for practical and theoretical researchers who work with composites related to international development, to industry representatives is to provide a platform and to allow them to make assessment of the composite.